Downtown's 6 percent lead over the Pearl area solidified its position in first place—which is a growing indication that tenants are demanding more downtown multifamily properties. Waves of new apartment development across the city has made it increasingly difficult to figure out exactly where renters want to be. ​Want more data? 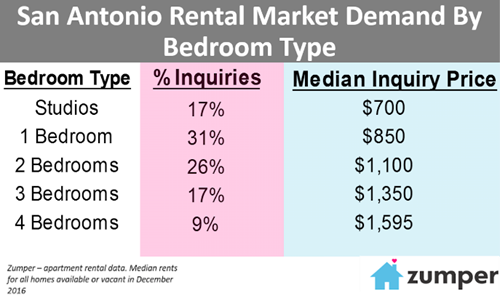 See San Antonio Multifamily Market Research. See the full​ Zumper Market Report here​!